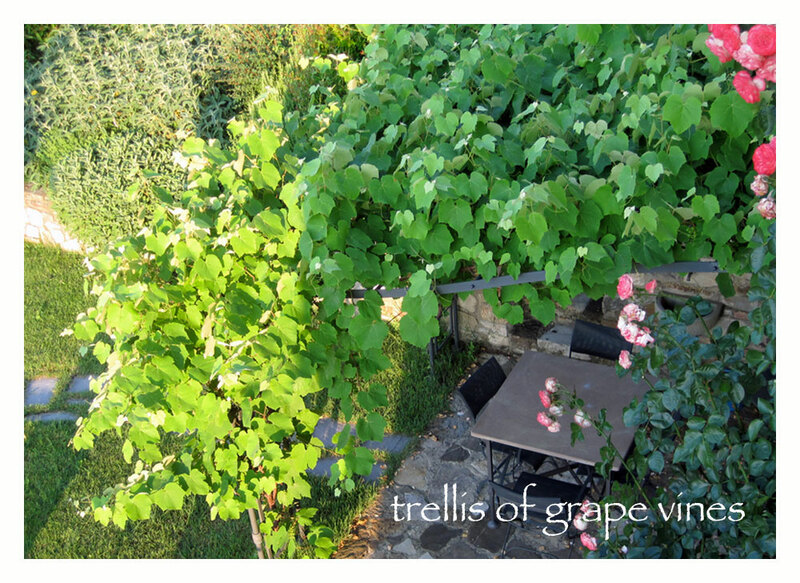 About 10 years ago we planted grape vines on the arbor for shade in the summer and sun in the winter. 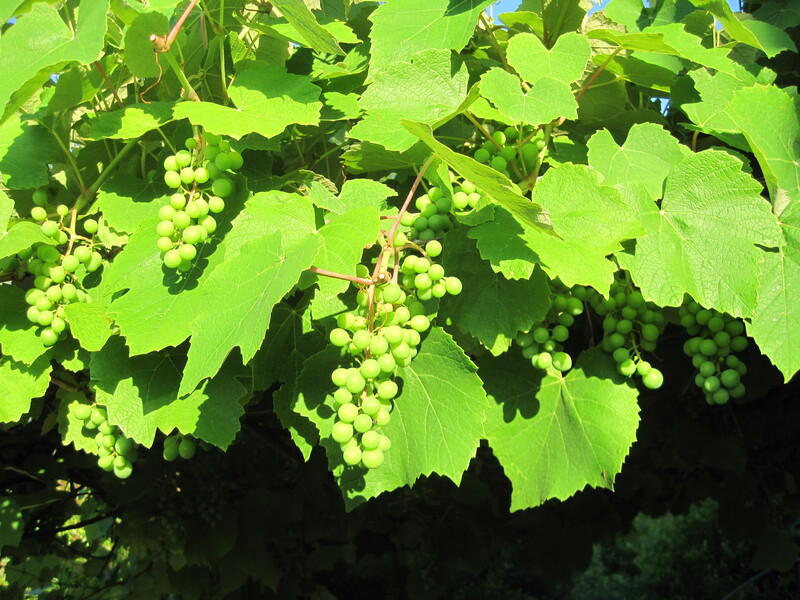 A grape arbor is the perfect natural solution since the grapes come on strong in the hottest months and then fall away into an open twiggy lattice when you need the sun the most. Fantastic! But what do you do with all of the grapes? This year we are having a bumper crop due to the heavy rains. So if anybody needs a couple bushel baskets full, stop by and we can help you out. But until you arrive, we just hope the arbor is strong enough to hold them all. Just kidding. 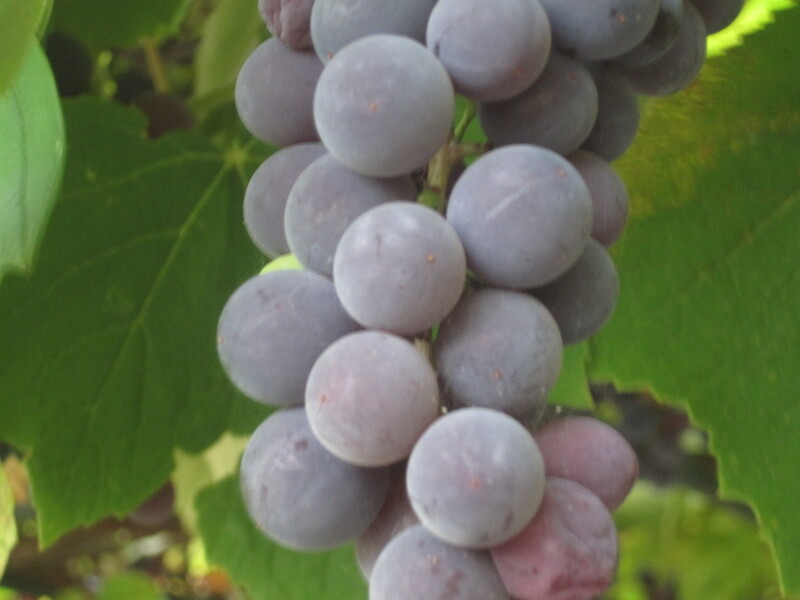 The strawberry grape matures into the most beautiful deep purple fruit—one of nature’s fascinating miracles. If you haven’t tasted them, you’ll be surprised to discover that they taste just like strawberries (hence the name, duh). But they are grapes! It is actually a bit confusing to eat them. That’s why it’s much better to make a great strawberry wine (which we have absolutely no interest in doing), or making an all time Tuscan favorite, schiacciata con l’uva, flat bread with grapes. It’s something like blueberry cobbler. We were with some friends who offered the tasty treat for dessert after dinner. We could hear them chewing and crunching across the room—a rather disturbing sound of new gravel under tires. Of course they weren’t aware that we could hear them chomping away, since the noise inside their heads was thunderous, interrupted every so often with groans of delight! And what those seeds must do to your teeth?!!? When you bite into one of those babies, you better have a dentist close by, perhaps operating from a kiosk in the back yard. We politely picked through the grape debris, offloading the seeds to the side of the plate, before biting down. But by the time we were finished with this seed extraction process, it looked so unappetizing that the thrill of having dessert was gone. Personally, we would rather have decent teeth for the rest of our lives than revel in the momentary pleasure of a good old hearty piece of rock pie. 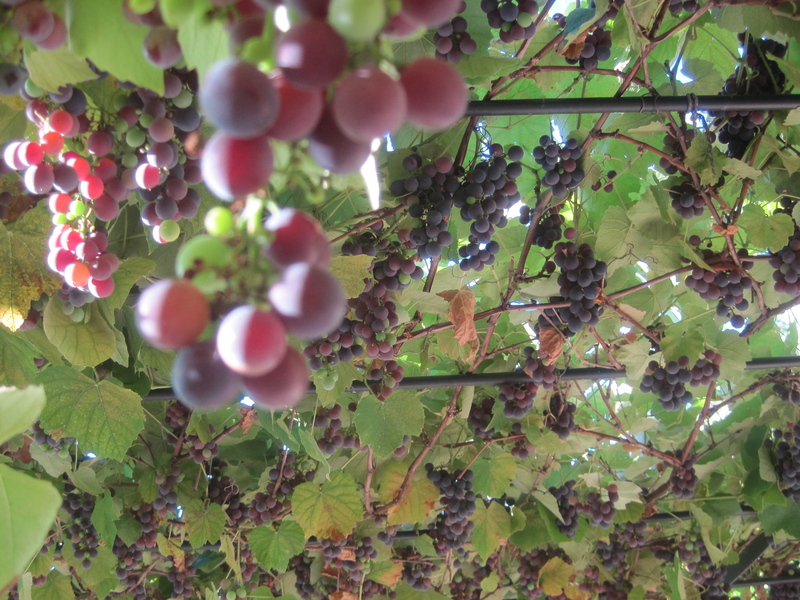 So, we are left with the dilemma of what to do with our functional grape solar screen as the harvest season draws nigh. In previous years, we have bought a hundred paper bags, and then delivered a surprise gift to everyone we saw, even though they probably had their own uva fragola crop at home. We never asked, because the answer could mean not handing off a peck or two. Nevertheless, a bag went to the guys at the autoficcina, car mechanics; Giuliano as he passed by on his tractor; Giovanna in the neighborhood office; neighbors in exchange for miele, honey. . . and on and on until they were all gone. Usually though, we end up catering the annual fall “festa di uccelli,” bird party, held just over the fence between us and the woods. If you want to experiment on your own, check out this recipe, but be careful! Funny that you should suggest jam. 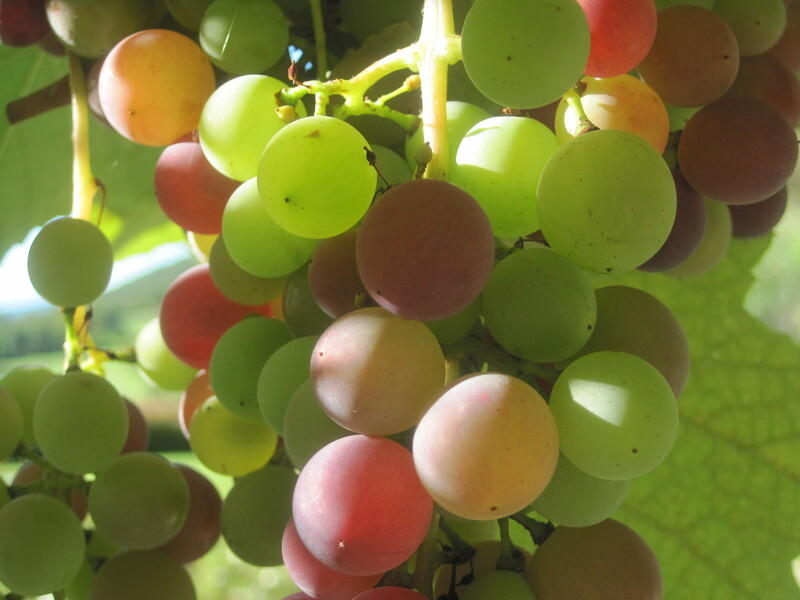 Last year we gave the neighbors a couple of pecks of grapes to make “marmellata.” The next day, they did the classic neighbor thing: came over with an empty cup and asked if they could borrow sugar. But we didn’t have any, so suggested they find a recipe that uses honey. We don’t know where you are, but that’s an easy one in Italy. You can also find them in England, but probably not shipped out. You can find them under seedsofitaly.com. In the US they’re hard to find because they can’t be grown successfully in many states. Your best bet is a supplier on the east coast where they are more likely to be found. We would start with a big seed company like Burpee and they can aim you in the right direction. Good luck!